You could help to rebuild a canal bridge! 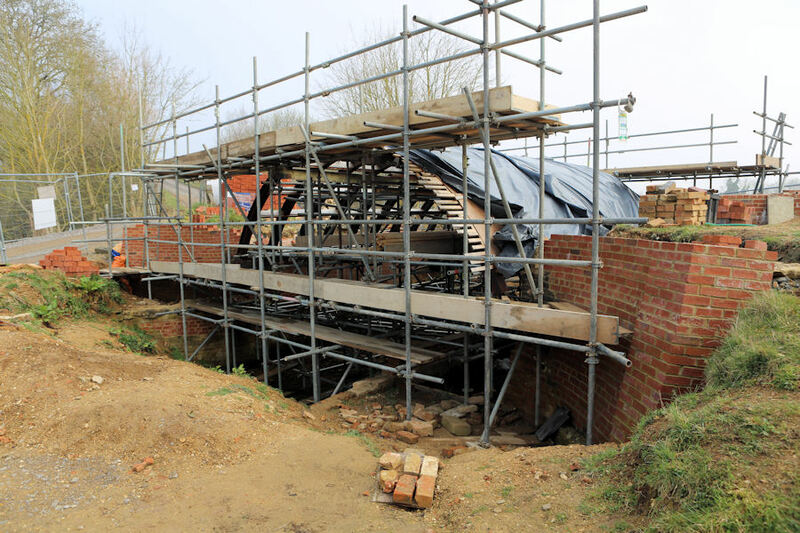 Preparatory work to rebuild Weymoor Bridge has progressed. 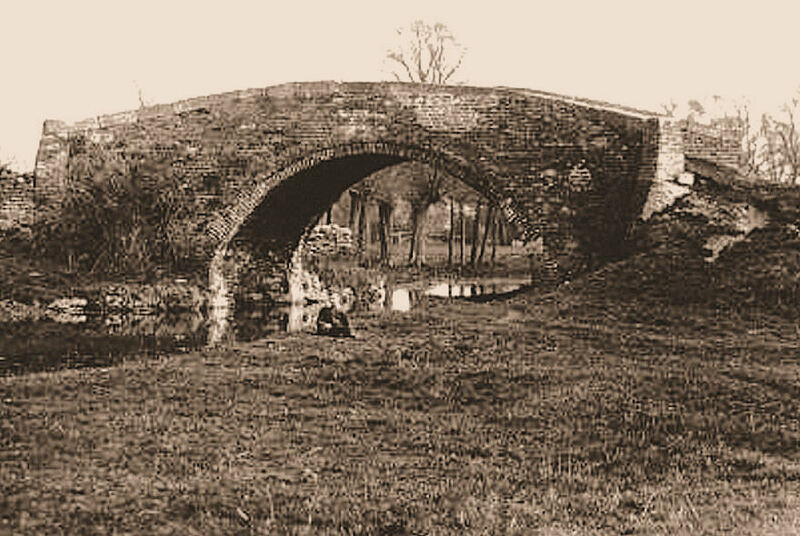 If you have time to spare and skills to share the Cotswold Canals Trust bridge building team would welcome you at Weymoor, near Cricklade. Cotswold Canals Trust Volunteer Project Manager John Maxted is currently drawing up the schedule for bricklaying teams to form Tuesday & Wednesday work parties. The Weymoor Bridge site is close to the A419 at Latton near Cricklade. John Maxted explains.. "A wide range of skills are needed. That includes bricklayers, mortar mixers & movers, digger operators and dumper drivers. "In fact we welcome any enthusiastic ‘what-can-I do-to help’ volunteers. 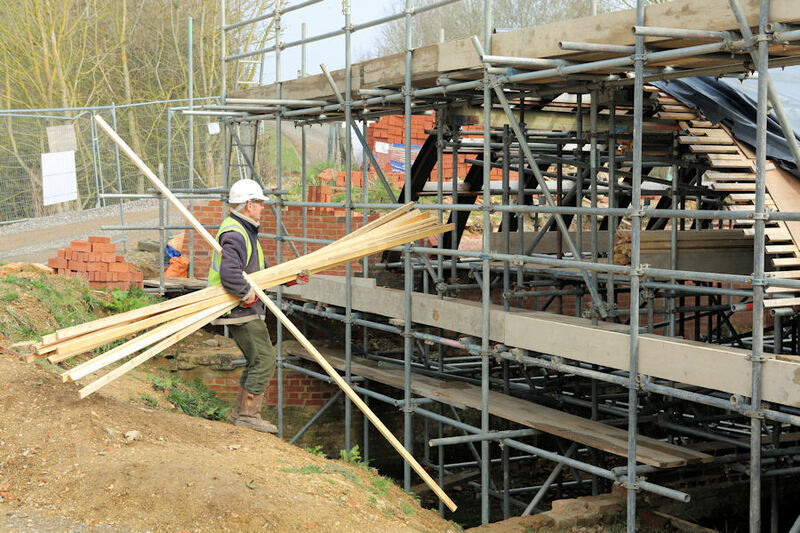 "There is something for everyone really, and it really is fun to be recreating something that was built way back in the 1700's"
A Site Manager is also sought. This person would be prepared to take day-to-day responsibility for the project, supported by our Project Manager and Civil Engineer. Whilst good progress was made in 2014, additional volunteers are needed to achieve the 2015 objective. Building work will start again in April. The aim is to complete all the main bridge brickwork, lay a new roadway over the top and then remove the diversionary track. By the end of this year the idyllic historic scene pictured right could be enjoyed once more. Click here to view Mike Gallagher's Weymoor Bridge Album.